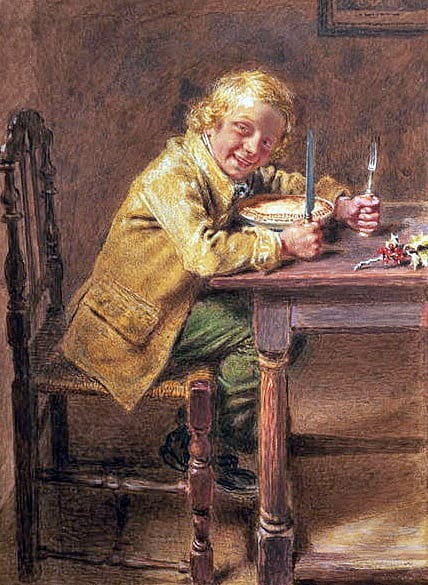 Mince pies have occupied a prominent place on Britain’s holiday table for centuries and that tradition continues today. During the near 7 years that I lived in England I witnessed the mince pies being stocked in every store and served in nearly every home as soon as the Christmas season started. 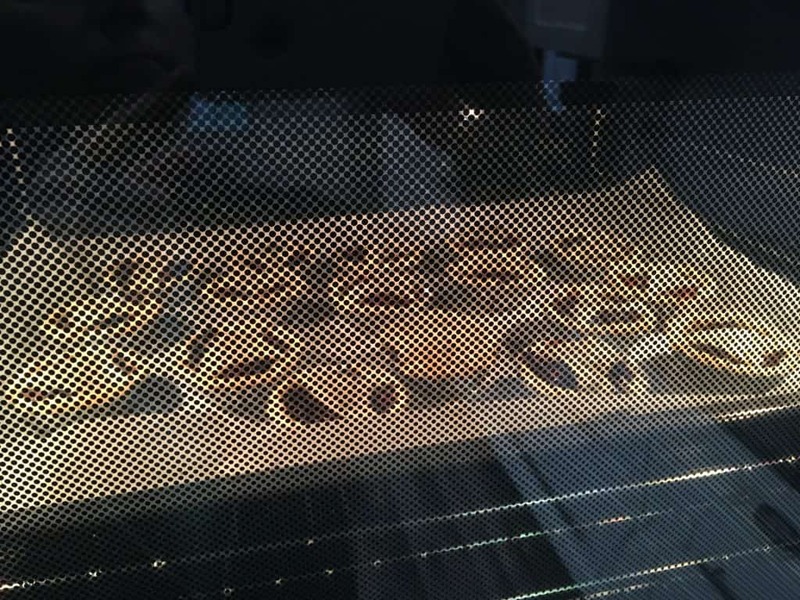 Homemade mince pies on the other hand made with real traditional mincemeat….well, that’s a different story. And that’s what we’re talking about today. If like me you’ve always hated store-bought mince pies, I have a hunch these homemade ones will make you change your mind. If you want the absolutely BEST mince pies, you HAVE to make your own mincemeat. 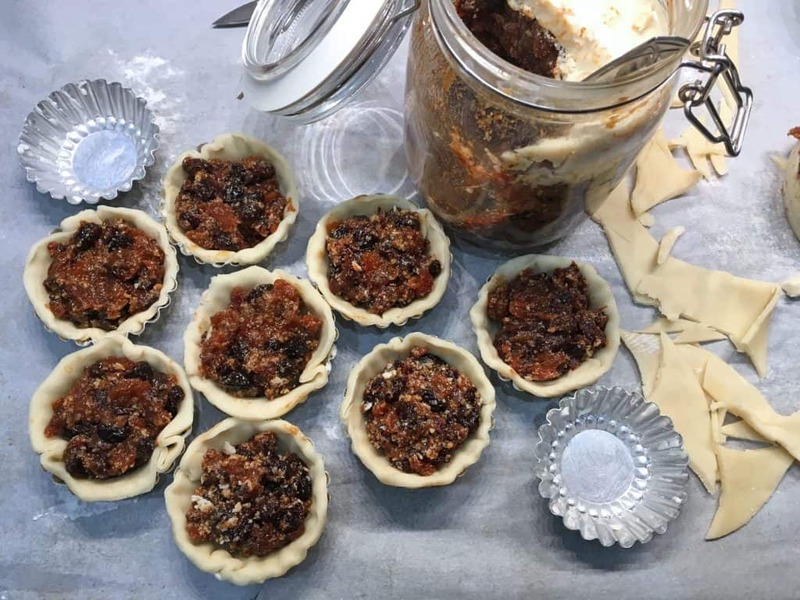 If you use store-bought mincemeat your mince pies won’t taste much better than the ones you buy in the grocery store and THAT’S what we’re trying to avoid. The mincemeat of today is very different from the mincemeat our ancestors enjoyed through the centuries and by different I don’t mean improved. The real stuff is vastly superior and your taste buds will agree once they’ve tried it. 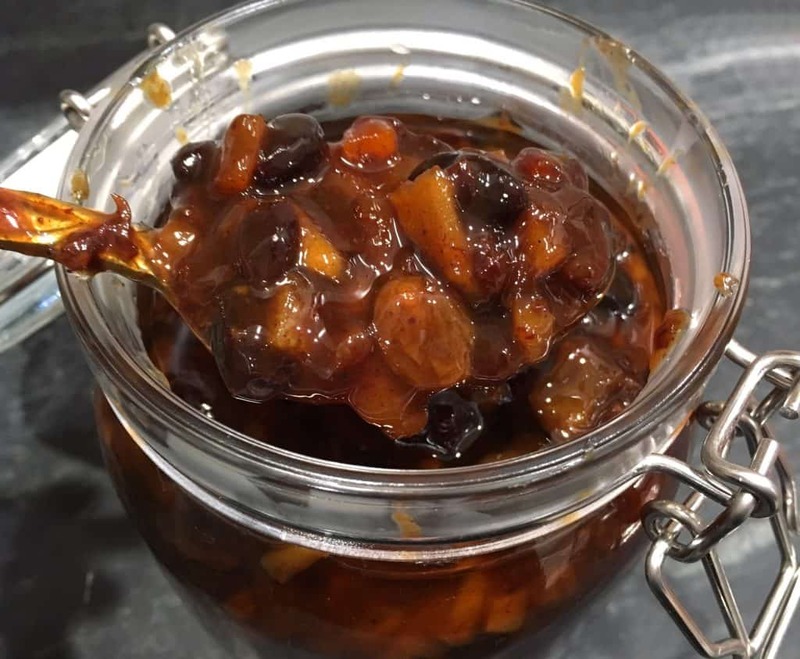 To learn more about its history, its evolution, and how to make mincemeat that you will really enjoy, be sure to check out my post on how to make your own Authentic Traditional Mincemeat. In Britain especially but also in several other countries around the world, including Canada, Australia, New Zealand, South Africa, and the New England region of the U.S., it’s hard for many people to imagine Christmas without mince pies. Mince pies, originally called “Christmas pies, “crib cakes” or “shred pies”, can be traced back to the 13th century to the time of the Crusaders where they were fashioned as symbols of Christ’s birth. Featuring cinnamon, cloves and nutmeg in token of the gifts of the three Magi, mince pies were originally larger and shaped into ovals to represent the manger. Often a pastry was made that was shaped in the form of the infant Jesus and was placed on top of the pie. The mince pie would then be eaten in celebration of the birth of Christ. 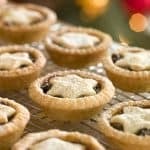 Over time mince pies got smaller and rounder and today they’re made in small tart tins as convenient “hand pies” that are consumed within a few bites. Mince pies have literally gone down in history as an inseparable component of Christmas holiday tradition. You can use prepared pie crust but for the best flavor and texture I recommend making your own and if at all possible replacing some of the butter with lard. Lard yields the very best pie crust texture imaginable. Be sure to use quality lard from pasture-raised pigs. Most of the lard you find in the stores is hydrogenated – avoid it. I usually render my own lard from fat that I get from a trusted local farmer (see my post on How To Render Lard), but for a store-bought option, this Leaf Lard from Fatworks is made from free-ranged, pasture-raised pigs. You can use either a standard 12-muffin tin or you can use mini tart tins, which create a more typical pie shape. I prefer to use the traditional mini tart tins and these tins can be used for any number of mini tart recipes. Preheat the oven to 400 degrees F. Grease the mini tart tins or a standard 12-cup muffin tin. Roll 2/3 of the pie crust out onto a floured surface to 1/8 inch thickness. Cut circles out of the pie crust to fit into the tins. Roll out the remaining pie crust to the same thickness and cut out circles or star shapes to form lids over the tarts (cut a small slit on the top of the pie crust if using circles). Carefully press the pie crusts into the tins and fill them with mincemeat then top with the pie crust lids/stars and press the edges together to seal them. Lightly brush the tops with milk or an egg wash.
Bake the pies for 10-15 minutes or until golden brown. Carefully remove them from the muffin or tart tins, transfer them to a wire rack and sprinkle with powdered sugar. Mince pies are best served gently warmed. They can be eaten with your hands or with a spoon if served with cream or even ice cream if you like. Stored in an airtight container, will keep for up to 4 days. Note: These pies freeze well. Freeze in an airtight container or ziplock bag, will keep for up to 3 months. 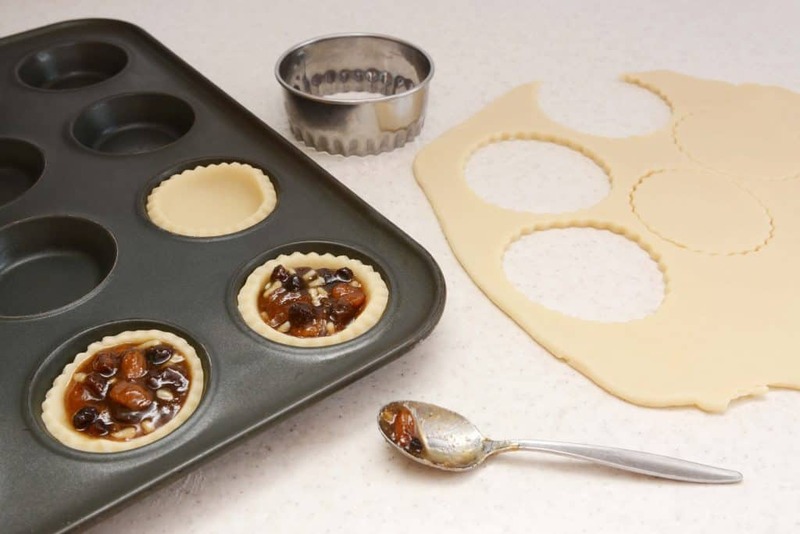 Depending on the size of your tart or muffin tins, this will make about 18 mince pies. One tradition says that if you eat a mince pie each day over the twelve days of Christmas it will bring you good luck in the new year! Another tradition says that the first mince pie of the season holds special powers, so be sure to make a wish with the first mince pie you eat! 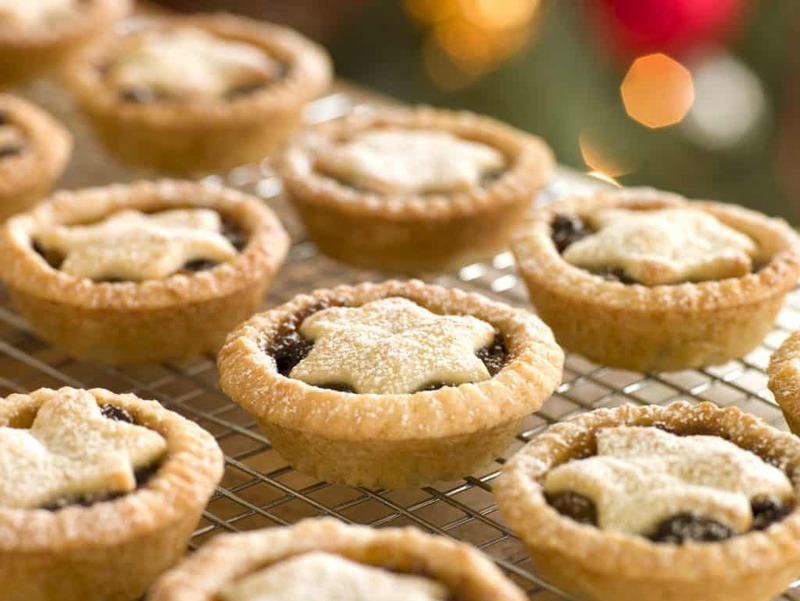 Fun Fact: The first ever mince pie eating contest was held in 2006 and the winner consumed 46 pies in one sitting! So with that perspective, 12 pies in 12 days isn’t so bad, is it? 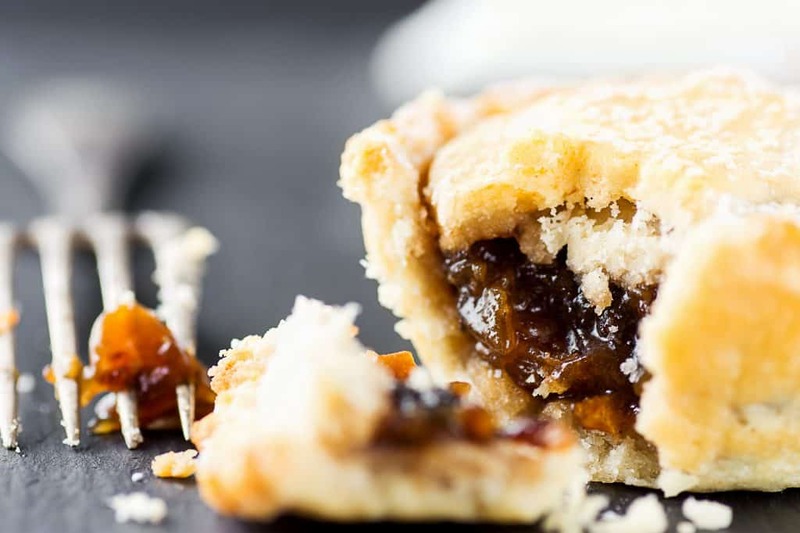 With your pantry already stocked with homemade mincemeat, traditional mince pies are a snap to make and an essential part of the British Christmas tradition! Combine the flour and salt in a large bowl. Add the butter (or lard/tallow) and use a pastry blender or two knives to cut into the flour until you get pea-sized crumbs(alternatively use a food processor). Stir in the water gradually (or pulse with a food processor) until the dough holds together when you pinch it between your fingers. Wrap the dough with plastic wrap and chill for at least 30 minutes. Preheat the oven to 400 degrees F. Grease a standard 12-cup muffin tin or mini tart tins. I got so caught by your recipe for the original authentic mince meat that I want to try the mince pies now. I’m not familiar with the british custom. Please inform when and how they are consumed. Breakfast, lunch, tea, dinner? Hi Nat, these are eaten throughout the Christmas season as a dessert item and can be casually passed around on a plate and eaten by hand or served on a plate with cream or ice cream. While they’re also eaten cold, they’re really best served gently warmed. Mince pies are eaten at any time, usually without a sauce. I’ve never seen them served with ice-cream but I haven’t been to every household in England, even though I’m English and have lived in England (Yorkshire really) for almost eighty years. Our tradition is to make them on Christmas Eve and have the last one at midnight on New Year’s Eve with a dram. I make our mincemeat, using finely chopped beef and lots of brandy. It doesn’t need cooking (or ‘canning’ as sometimes described but not in Britain) and will keep forever. Commercial mincemeat isn’t bad and, in my experience, always contains suet. If commercial mincemeat is acceptable why do I make it? Because I make everything. This year has been difficult because I’ve been caring for Spouse after an accident, luckily I’d already made the cake, back in August, and had a pudding left from 2010. There are only the mince pies and stand pie to make now. I even have some tomatoes left from the greenhouse, very small but they’ll be fine with the pork pie. I wish everyone a joyous Christmas and a peaceful 2018. I wish you were my neighbor! Then I’d come over and beg for a couple of your minis! Being my Grandfather is from St.Austell Cornwall, we always had mincemeat pies…I also use lard when making my traditional Cornish pasties ! That’s the only way to make them, Jerry! My husband’s family is from Cornwall also and Cornish pasties are one of his favorite things. I’m having so many childhood flashbacks seeing this. My Dad loved making his own mince pies. Yours look amazing. Happy Holidays!!! Love that you used homemade mincemeat! Yum! I made these for Christmas using your mincemeat recipe and they were a huge hit! I served them with whipped cream and everyone requested seconds. Such a great flavor! Thank you! 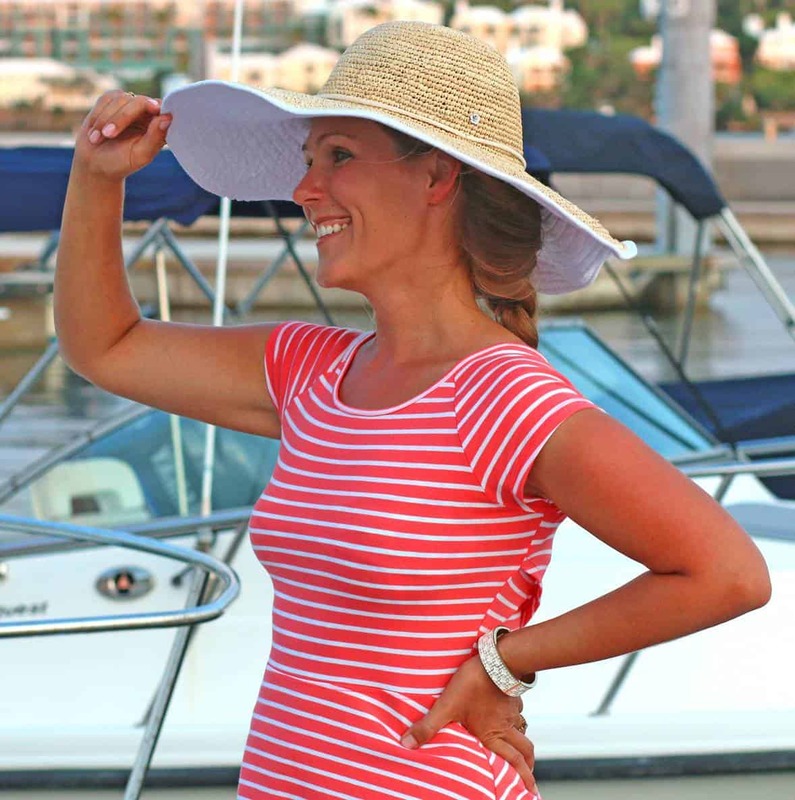 These were phenomenal, Kimberly! Made them using your recipe for homemade mincemeat and everyone loved them! Wonderful, thanks so much, Tammy! I made these using your recipe for homemade mincemeat – the absolute BEST!!! They disappeared so quickly last year and I’ve just made a double batch of your mincemeat again for this year. Cannot wait to enjoy some more of these pies. Thank you! I accidentally used 8 oz of lard instead of a lard and butter combination. Do you think the crust will be ok? Absolutely, Tara! Using all lard is what they often did in the old days. Do you mix in the suet that has collected on top before putting the mincemeat in the pie, or do you discard it? Can you just make the crust and then put the mincemeat in? This would preserve the alcohol for us lushes. How about putting some alcohol on after the pie is cooked? And it beat all else as something to eat. My wife made mincemeat with raisins as stock. But mincemeat with meat was not in her genes. So Sheila’s mincemeat was anathema to me. The shriek of a carrot that’s pulled from the ground. You’ll get the same answer, one without merit. They are cooked in sugar and dried up betimes. Having stripped off the peel, what to do with the fruit? Save it for the mincemeat a possible route. And lemon to squeeze and raisins galore. And spices to add and not just a few. Or the sugar will burn- just a slight bubble. The smell by itself is worth all the trouble. And that seals it up till you’re ready for pies. What a treat! This is phenomenal, Malcolm, thank you for sharing your talent!